Developing novel treatment-strategies for cardiometabolic diseases based on improving intestinal microbial composition. Focus on the discovery, validation and commercialization of novel biomarkers that improve prognosis and management of cardiac disease. AIMM develops high quality human monoclonal antibodies to treat diseases with a high, unmet medical need. Developing new products in the area of breast cancer screening. With its paddle, it reduced pain and anxiety, making women feel more comfortable during the screening. Regenesance develops novel treatments for immune mediated and neurodegenerative disorders like ALS, Myasthenia Gravis (MG) and Multiple Sclerosis (MS). The Life Sciences Fund Amsterdam is established in January 2009. Its goal is to provide investment capital to fund biomedical entrepreneurial activity in the Amsterdam Metropolitan Area. Life Sciences Fund Amsterdam is an independent venture capital fund aiming to capitalize on new technological developments in the life sciences sector. It provides investment capital to fund high tech entrepreneurial activity in the Amsterdam Metropolitan Area in general and at the academic medical centres in particular. The fund is a specialist fund, targeting companies that are developing commercially promising products and technologies in life sciences, including: pharmaceuticals, biotechnology, medical devices and other high technology opportunities that offer venture capital returns. The Fund focuses on seed and early stage companies, but also on pre-seed commercially viable academic projects. 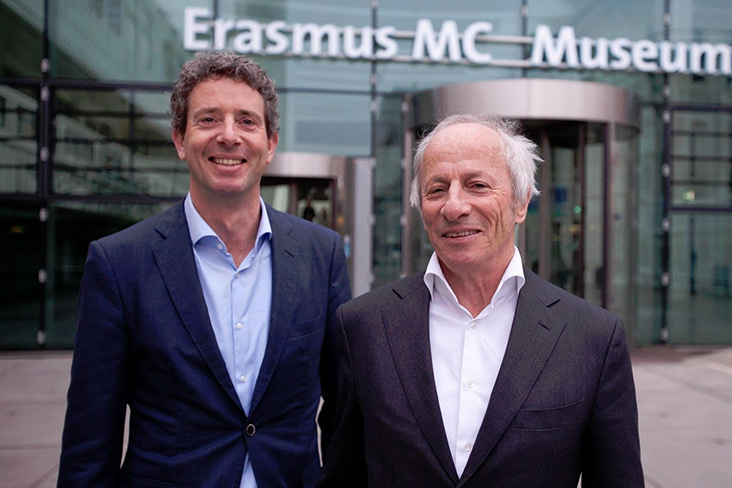 The close collaboration between the fund, the technology transfer offices of the Life Sciences Centre Amsterdam and the Amsterdam Biomed Cluster, enables the fund to facilitate the transfer of technology to the private sector and to provide emerging technology companies and university researchers with vital seed funding and specialized financial and technical assistance. The fund started in 2007 and is now fully invested.